Well before the current mass arrival of refugees, Europe has been busy closing its borders. As part of this attempt to ‘manage migration’, most member states have witnessed a growing intersection between criminal justice and immigration policy, introducing a host of new legislation criminalising matters that used to be purely administrative. Police have acquired new roles and responsibilities related to border control, while prisons have paid far more attention to the citizenship of prisoners than ever before. Alongside these criminal justice initiatives, most European Union member states have opened new sites of administrative detention. These immigration detention centres hold foreigners under immigration powers either as they arrive or to enforce their departure. They may take a variety of forms, from temporary camps to purpose-built institutions. As we witness growing numbers of new arrivals seeking sanctuary within Europe, we need to be very clear about the personal and moral impact of detention, both for those behind bars, but also for society as a whole. Although states have long had powers to deport foreigners from their territory, and have confined them for various reasons, administrative sites related to processing asylum claims and/or detaining failed asylum seekers prior to deportation are more novel. At times of war, most states deploy custodial practices of some kind to hold suspect foreigners. From the internment camps created in France for exiles fleeing the Spanish civil war in the mid-1930s to concentration camps of WWII, such practices overlap with more violent ideologies. So, too, the post-war post-colonial era has left its mark. In Britain, the contemporary immigration detention system dates to 1970, when the first purpose-built institution, the Harmondsworth Detention Unit, was established. Opened in response to the Immigration Appeals Act of 1969, which gave Commonwealth citizens who were denied entry at the border the right to an in-country appeal, this preliminary institution laid the foundations for the far more complex and larger system that exists today. In France, the chronology is similar, with the original target being migrants from Algeria. There it was not until the 1980s that legal safeguards were developed. Today, a vast array of institutions can be identified in Europe as sites of detention. Many are concentrated in the southern states, reflecting the distribution of arrivals. There are a range of possible forms of accommodation including tents and shipping containers. According to the EU Returns Directive, nobody should be detained for immigration matters for longer than 18 months. Most countries have agreed on a much shorter time frame, from 45 days in France to 90 days in Italy. Although seeking asylum should not lead to a period of detention, due to the Dublin Conventions, asylum seekers are sometimes detained before removal to a third country. A high proportion of those confined are people whose asylum claim has been denied. Most detention sites are run by the police. Many integrate NGOs, who may assist with legal advice, social visits or healthcare. Notwithstanding international law, and significant public outcry, a number of countries still detain unaccompanied children. Unlike other custodial systems, women and men are not always separated. Detention centres exist alongside other forms of secure accommodation, from prison to asylum housing. They are distinct from the planned refugee camps in Greece and Italy. Yet, given the overlaps between the populations of these institutions, detention remains relevant. 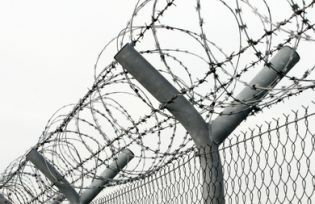 Likewise, connections exist between detention centres, labour regulation and crime control, as many end up in detention after work raids or following a criminal conviction. Under these circumstances the challenges in understanding immigration detention are manifold. To help matters, we can focus for instance on the British system, in order to piece together a more detailed account of these sites. Each day, around 3500 men and women are held under Immigration Act powers in Britain, in one of 10 Immigration Removal Centres (IRCs). Concentrated in the South East, four are clustered around the London airports. An additional 1000 beds are available in prison, and about 100 people are held for up to 5 days in short term holding facilities (STHFs) in ports and airports. An unknown number of people are held under Immigration Act powers in police custody, in hospital and in Home Office reporting centres, for shorter periods of time. Though part of a national system, each site is contracted out, either to a selection of private custody firms (currently GEO, Mitie, G4S and Serco) or to the prison service. Britain has not signed the EU Returns Directive. Unlike elsewhere in Europe, there is no statutory time limit to the period for which someone can be held under Immigration Act powers in Britain. Although detention should just occur pursuant to deportation or removal, and indeed, the majority of people leave within 30 days, in every IRC there are some people who have been there for months and even years. The inherent uncertainty of the duration of detention is one of its key and most controversial characteristics. Neither staff nor detainees approve of the open-ended nature of detention, with most calling for the establishment of a time limit in the UK, to bring it into line with the rest of Europe. Without knowing how long detention will last, staff find it difficult to devise regimes to fill people’s time. The kinds of work and education programmes that are widely available in prisons are simply not present in detention. Instead, IRCs offer art and crafts, English as a second language, gym and, usually, some IT training. Unlike prisons, all detainees are allowed a mobile phone and access to the internet, although social networking websites like Facebook and Twitter, as well as YouTube, are blocked. Some NGOs fill the gaps, either by providing social visits to detainees, or by entering the centres to teach music, yoga, knitting or other courses. Activities staff are often creative, and the centres run an active series of events tied to religious and cultural calendars. Access to legal advice is extremely limited. In each centre a core group of detainees take advantage of much of what is on offer. For these people, courses and social events help them endure a taxing period of their life. Many others, however, cope by watching television in their rooms and keeping a low profile. Nearly everyone spends considerable portions of their time in detention trying to contact lawyers, locate their worldly possessions that have been left behind, or decide what to do about their children. Staff and detainees are often unclear about the purpose of IRCs. Although designed to assist with expulsion, each year nearly half of those confined are released back into the community. “It feels like a lottery here sometimes”, admitted Ania, a Polish detainee at Yarl’s Wood. “So I think that if ten people get deported then that will improve my chances of staying”. Perversely, others, who agree to return to their country of origin, sometimes linger on as their paperwork is lost, delayed or contested. For those in detention, such matters are often very painful. Staff, too, at all levels, report ambivalence about their job. It is not that they necessarily believe in open borders or free movement, but rather that they are not always sure about the necessity of detention and worry about its impact and efficacy. More predictably, detainees dispute the legitimacy of IRCs, at least in their own cases. Whilst some agree that not everyone should be allowed to remain in the UK, very few people seem to accept that they themselves pose a problem. Those who had always intended to return to their country of origin do not feel that detention was necessary. Only those who were more afraid of where they were heading, might be content to be there, at least for a time. For Sunnathurai, from Sri Lanka, in Colnbrook IRC, the choice felt stark: “I’ve only one, two choice me. Either stay in this place or I will get released from this place. I don’t go back to my country”. Language and cultural differences, as well as high levels of anxiety and depression, compounded by the inherent uncertainty of these institutions, make it difficult to recognise people’s suffering and shared humanity. Bureaucratic processes facilitate practices of denial, making it easier for staff to turn away and overlook the troubles of those in their care. The sheer turnover of the population is not to be underestimated. Many detainees are deeply distressed. The experience of expulsion is almost always painful. For those whose children are left behind, or who are returning to poverty, a violent marriage or an uncertain future, it can feel unbearable. The uncertainty of detention is more than just a personal tragedy or a cause of momentary confusion; it is a constitutive part of this form of confinement, and the means, however inefficient, of enforcing removal. The question that remains, then, is whether this strategy is defensible. As mass mobility shows no sign of letting up, attempts to eject those deemed undesirable are likely to increase in vigour at the same time as they will decline in capacity. The logic of detention, that people can be forced to go, propels border control forwards, closing off alternative responses. Is that really what we want? Mary Bosworth is Professor of Criminology at the University of Oxford and, concurrently, Professor of Criminology at Monash University Australia. At Oxford she is Director of Border Criminologies (@bordercrim), an interdisciplinary research group on the intersections of criminal justice and border control based at the Centre for Criminology. She has been conducting research inside Britain’s Immigration Removal Centres since 2009. Her most recent book is Inside Immigration Detention (Oxford, OUP 2014).